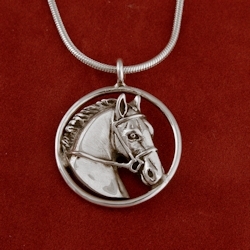 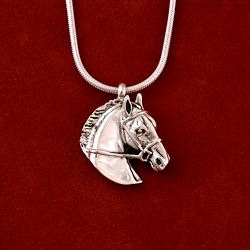 H/J Thoroughbred sterling silver charm with jump ring. 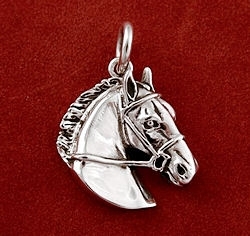 Head measures 3/4 by 3/4 inches. 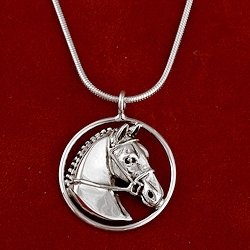 Perfect on a bracelet or your own chain.